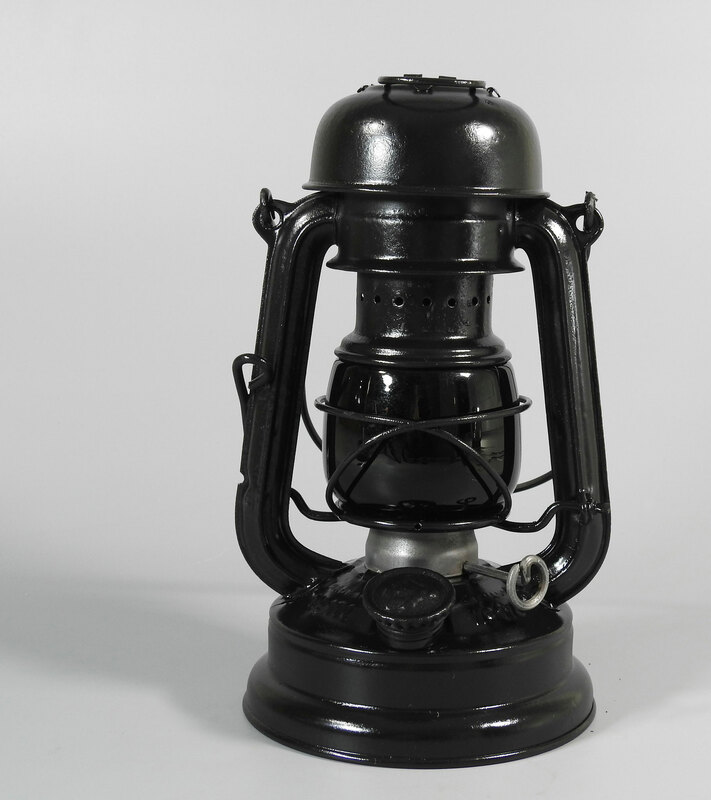 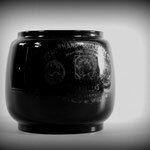 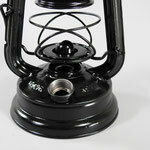 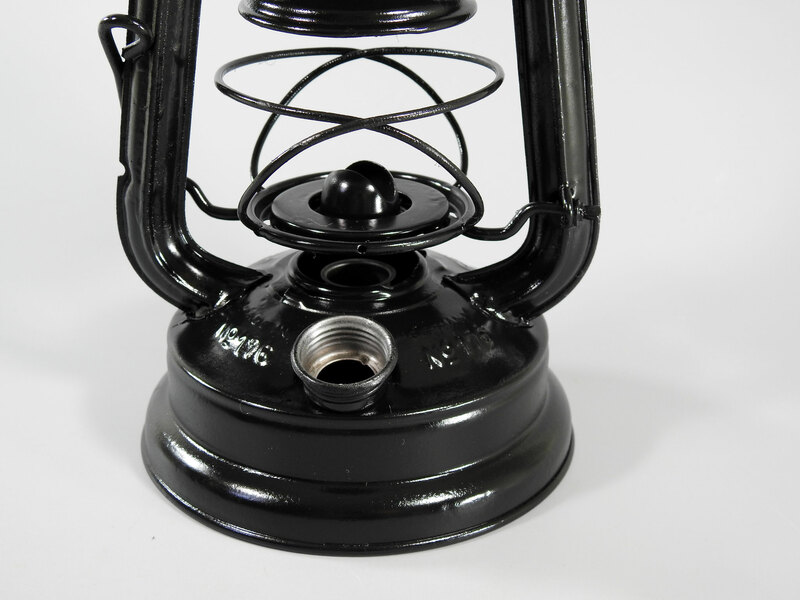 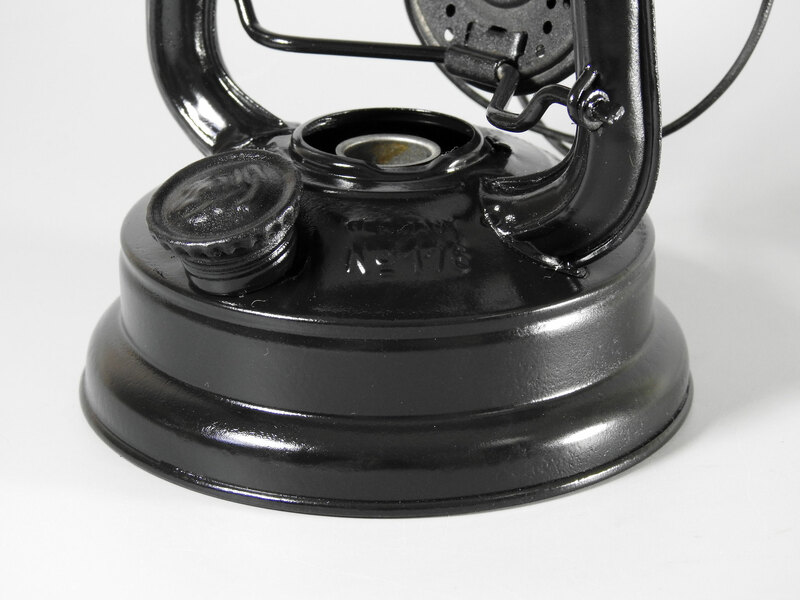 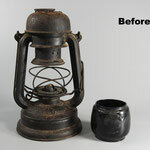 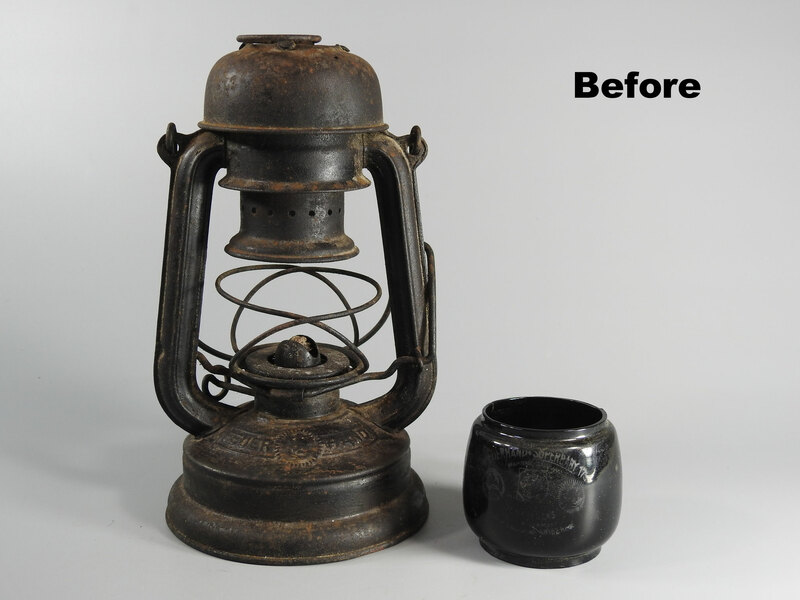 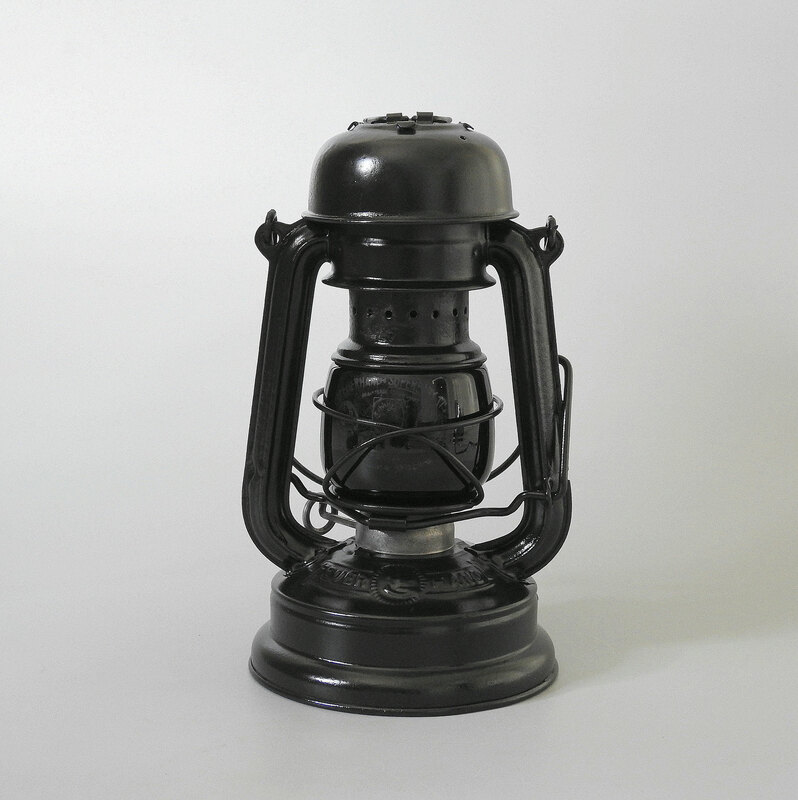 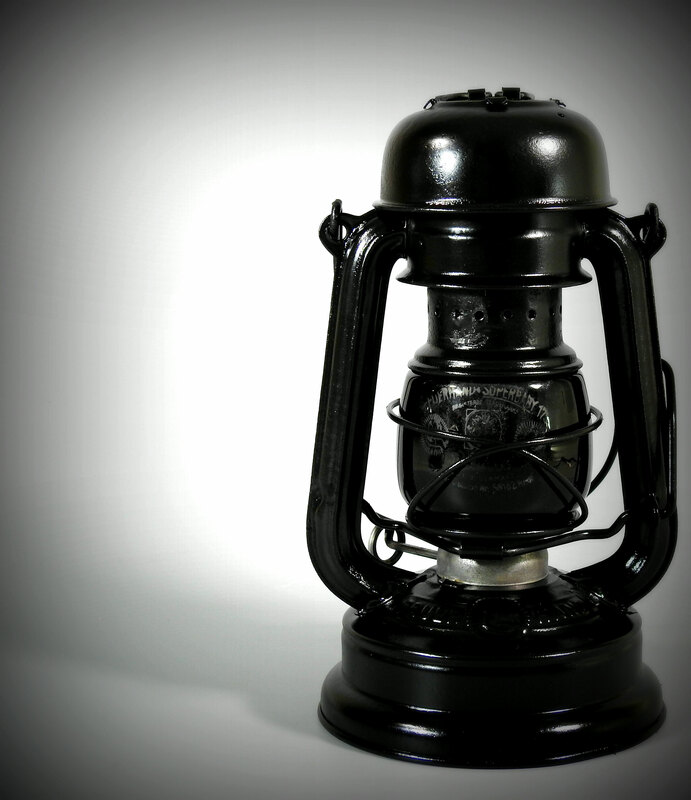 This lantern was painted black over the original green paint. 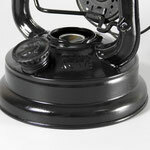 I could not save the original paint and it was too pitted to leave it natural tin. 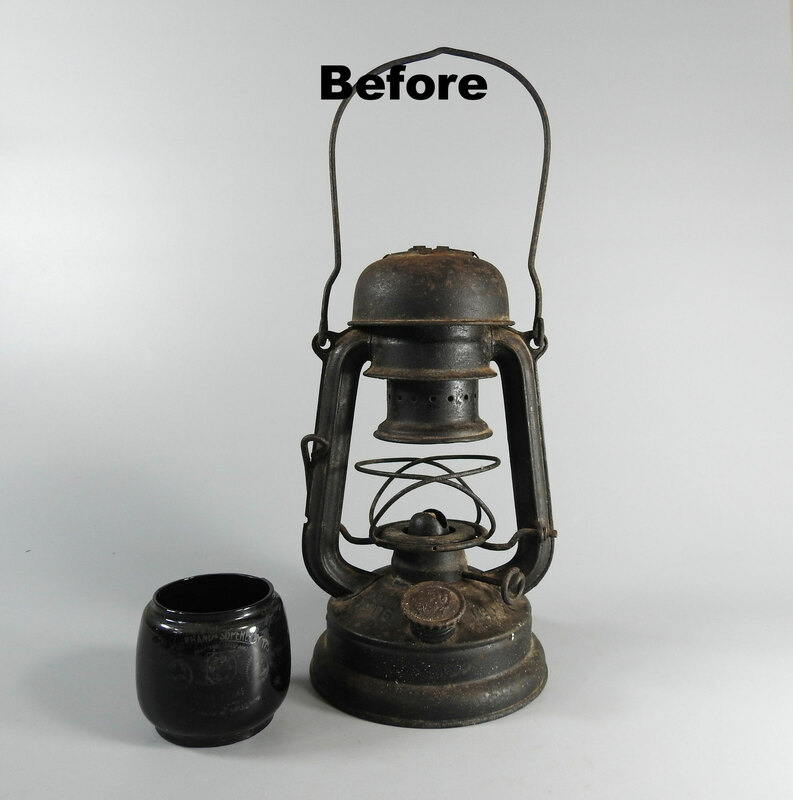 I did repaint the lantern again. 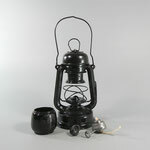 This lantern comes to me from the Czech Republic. 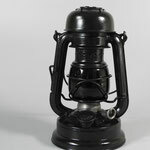 A big thank you to Stan for helping me add this lantern to my collection. 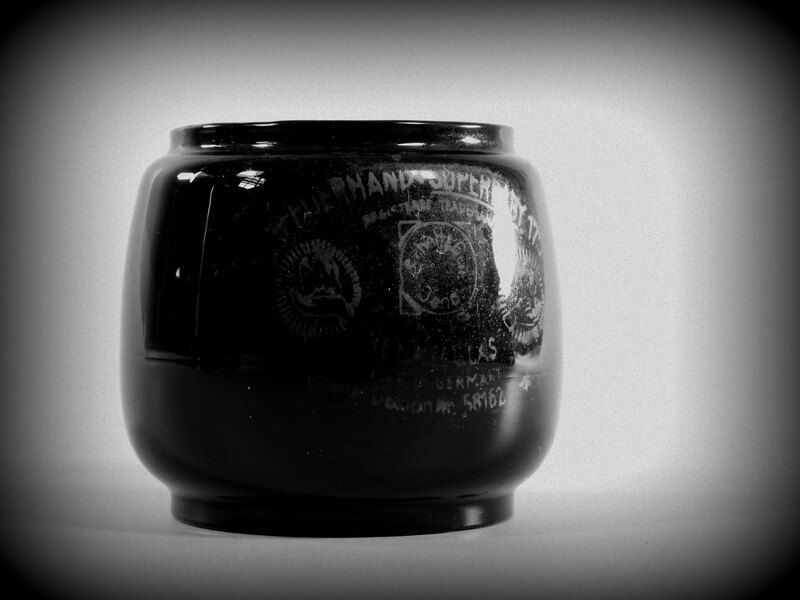 The globe is outstanding with most of the etching still visible. It is a black out globe used during WW2. 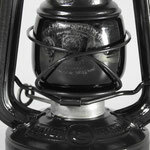 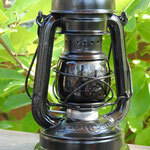 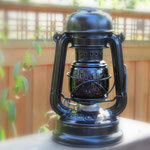 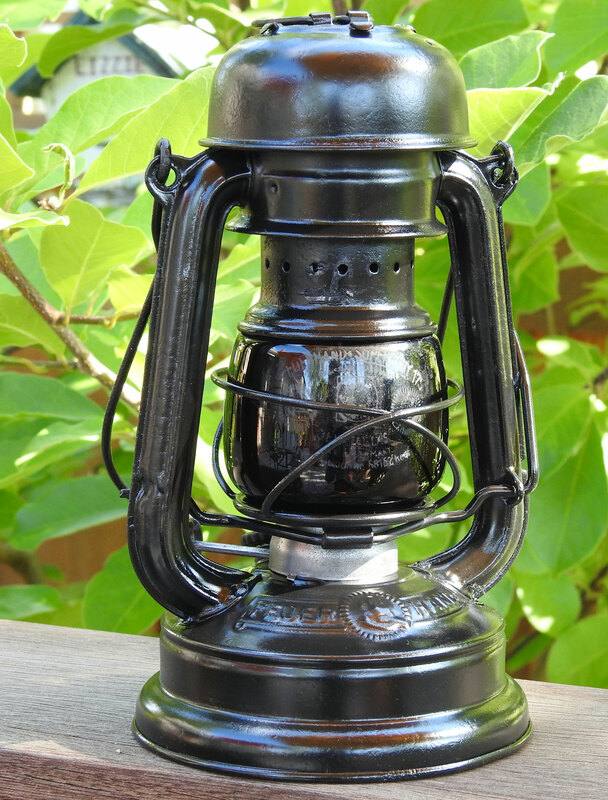 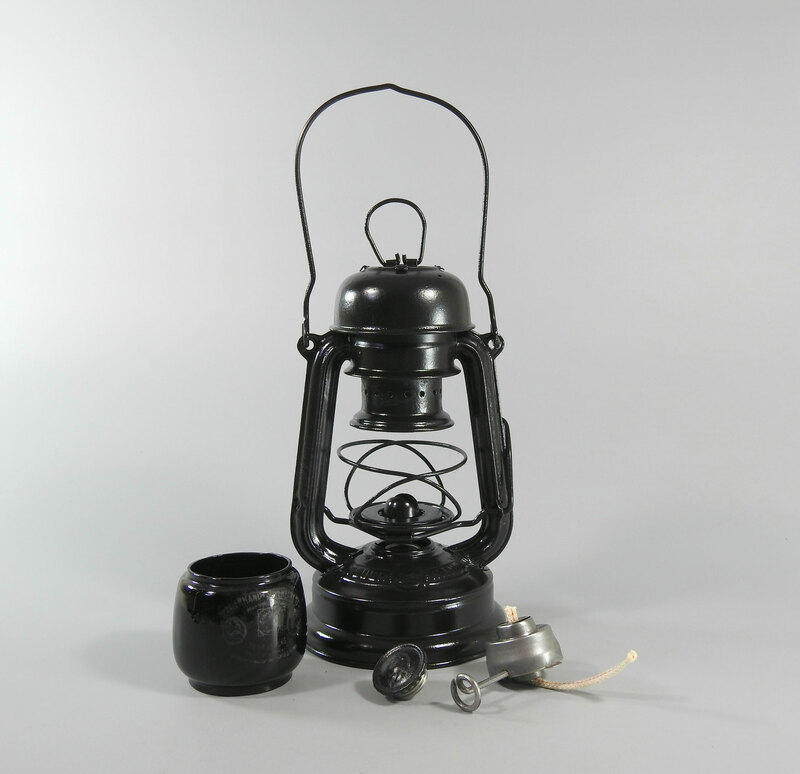 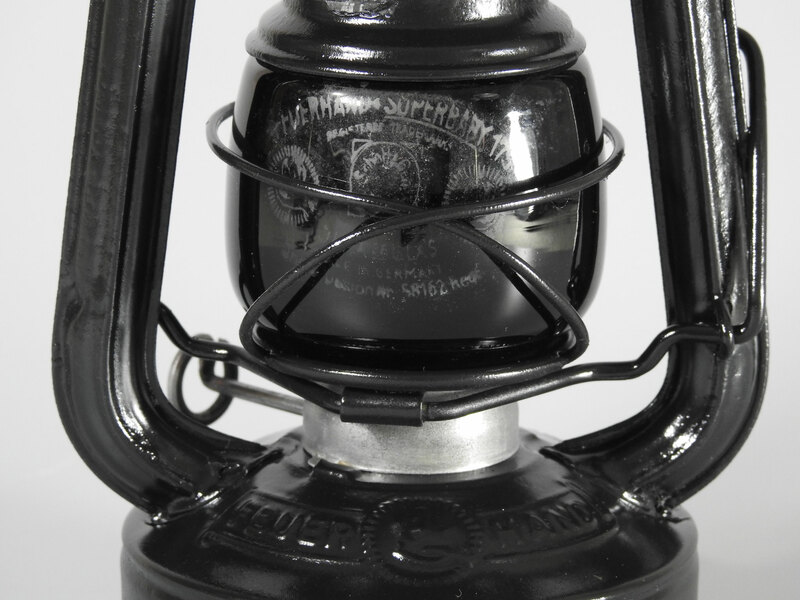 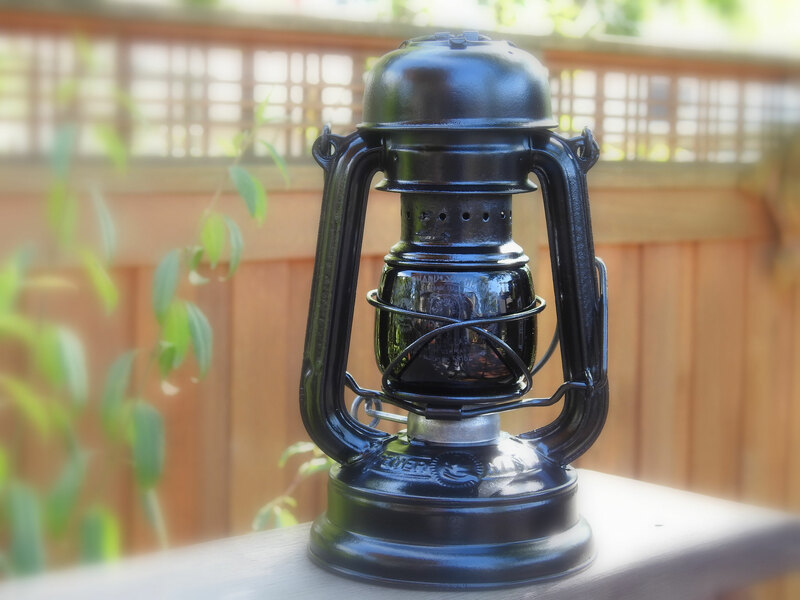 Overall, this lantern was in very good condition with no leaks or pinholes. 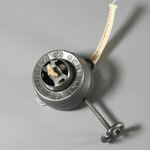 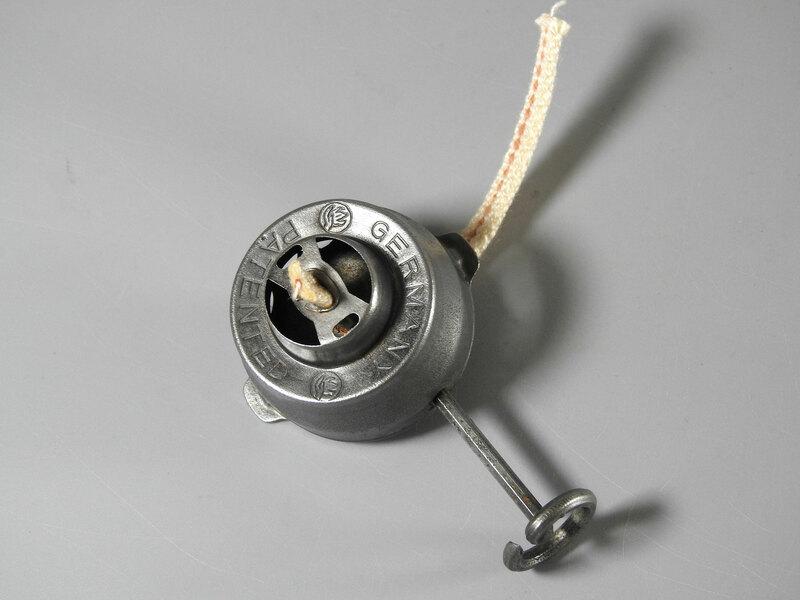 The burner was in excellent condition.